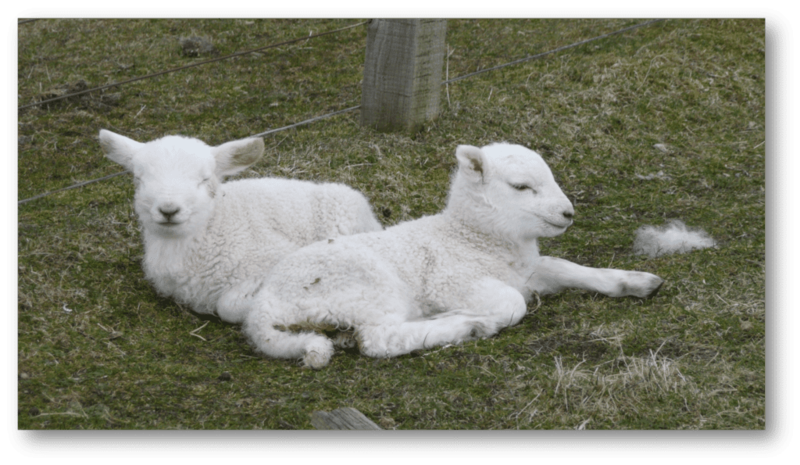 This blog describes risks to pregnant women during lambing season, what to watch out for and how to avoid the hazards. Around Easter time – Little lambs appear in the fields and families are out enjoying a range of easter events on farms or farm parks. Whilst we’re all out enjoying the spring weather, pregnant women should be aware of the additional risk to them. Pregnant women should especially avoid close contact with animals that are giving, or have recently given birth. This advice also applies to cattle, goats and pigs. Farm livestock carry infections such as chlamydiosis, toxoplasmosis, listeriosis and Q-fever. These are all known as zoonotic infections. Zoonotic infections are those that jump between species. Zoonoses are caused by micro-organisms, which are subject to the Control of Substances Hazardous to Health Regulations (COSHH). The landowner or farm manager should carry out Risk Assessments, and take steps to prevent such infections being transferred to humans. Especially pregnant women who may be visiting their premises. What Diseases can Zoonotic Infections Transmit? Chlamydiosis is a bacterial disease from infected sheep or goats. In most humans it leads to mild flu like disease. However, in pregnant women it can cause severe life threatening disease in the mother. It can also lead to stillbirth or miscarriage of the unborn child. Toxoplasmosis is a parasitic disease. For most healthy people there are no disease symptoms or mild flu-like symptoms. However, it can be a serious disease in pregnant or immune-compromised people. It can be transmitted from sheep, birds or cats. Listeriosis symptoms are a temperature of 38 degrees or above, aches and pains, chills, vomiting and diarrhoea. If it’s not treated, severe listeriosis can cause serious infections like meningitis in babies, and possible miscarriage. Q fever is a bacterial disease. In most people it only causes a mild flu-like illness, but it can lead to more severe disease in pregnant women. It is transmitted by sheep, goats and cattle. What Should we do if we are Worried? These infections are uncommon but although the risks are low, pregnant women should still be aware of them. Seek medical advice if they experience fever or flu-like symptoms. Or if concerned that they could have picked up an infection from a farm environment. Some symptoms may only appear 2-3 weeks after infection. How can we Avoid Infection? As with many outdoor risks the best protection is awareness and avoidance of risky areas. Infections are generally spread by handling farm animals, their afterbirth, faeces or urine. This means farmyard bedding, lambing equipment, fencing and farmworker’s dirty clothing, can all pass on the infection. Everyone visiting a farm, farm park or zoo should regularly wash their hands. Also cover up any cuts, and don’t eat, drink or smoke in the ‘contact’ areas with the animals. Farmers and livestock keepers have a responsibility to minimise the risks to pregnant women, including members of their family, the public and professional staff visiting farms. Most responsible farm parks, petting zoos and open farms will have signs out warning of the additional risks during lambing time. At this time of the year, it’s great to see a new generation of farm livestock in the fields. Stay safe out there and look after yourself and your own new generation inside you! This is just one of the environmental risks we cover in our 2 day Outdoor First Aid courses along with others such as Ticks & Lyme Disease, Rats & Leptospirosis, and others – not all exclusive to pregnant women though! Being aware and prepared is the first step to being protected. To gain confidence in the outdoors, have a read through our other blogs related to the outdoors, or click the button below to join one of our Outdoor First Aid courses. Ann is our Countryside Expert, a countryside ranger prior to joining the First Aid Training Co-operative, she is still involved in wildlife surveys and bushcraft. She and has recently taken up sailing on the west Coast of Scotland and has even moved house to be nearer her boat!